﻿Which Islands in Greece Do Turkish Luxury Cruises Visit? Considering that Turkey is neighbors with Greece, there are a variety of islands nearby or within the Aegean and Mediterranean that Turkish luxury cruises can visit. 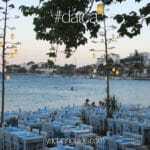 The closest island to Turkey from Marmaris is in the Dodecanese; namely Rhodes. The next closest island the boat charters in Turkey travel to is the island of Kos – where travelers who embark from Bodrum can visit. The next major island in Greece that both cruises from Bodrum or Marmaris visit is Symi. These are the three major islands that are explored the most in itineraries planned from Turkish waters. While the airport that serves Bodrum, Milas is 40 minutes away from the harbor; the Dalaman airport serves Marmaris and just over an hour away from the Marmaris harbor. Whether your cruises in Turkey are in the Aegean – Bodrum or from the Mediterranean – Marmaris, the islands in Greece located in the Dodecanese and Cyclades can be visited. 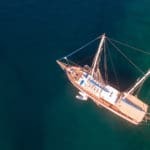 There are custom routes that can be organized to travel by a gulet charter to Athens and all the smaller islands in between. Also guests can venture to the islands in the Mediterranean all the way to Crete as well. 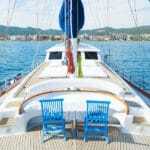 However the longer the distances for that one week holiday period, the more it may cost to hire the gulet. 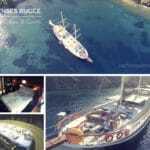 Gulet charters are meant for traveling a maximum of 4 hours a day within a one week private gulet cruise holiday. Travelers can certainly enjoy Turkish luxury cruises all the way to the impressive islands in Greece. Simply plan your ideas for itineraries with a professional yacht charter agent, and away you can sail for an memorable, history and culture rich, blue cruise holiday from Turkey.